After a very impressive second season back in the Premier League, the Magpies were put back in their place last season after the Tynesiders came to. How will they fare this season? Read below. One one side of Tyneside, an Italian manager has been happily splashing cash around to improve his squad. On the other, a British manager has spent nothing, only bringing in one loan signing to excite the fans. Since long-standing keeper Steve Harper left, nothing much has happend at St James'. 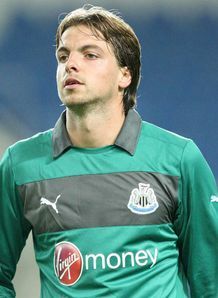 Tim Krul now has hardly any competition and the squad is short on the position so a suitable aquisition might be on the list. In defence, there is so much quality I just can't put my finger on why they leaked so many goals last season. With names like Mathieu Debuchy, Fabricio Coloccini and Massadio Haidara at the back they should be stable this season. Again, in the middle of the park, Alan Pardew has so much quality with the likes of Sissoko, Cabaye and Ben Arfa, it's impossible to see what went wrong. If it didn't work last season, I don't see any signings coming in to improve it and there are rumours of Ben Arfa and Tiote leaving the club. At least there is a replacement finally for Demba Ba, Loic Remy might only have joined on loan, but my brain says he will make a permanent move. He partners the spectacular scoring Papiss Cisse in attack and it might be a happier ending. Loic Remy might prove to be a Christian Benteke type signing for the Magpies. Overall, I think that if the Magpies don't make at least four decent signings, then they are going back where they came from, the Championship.